Dave & Tim's new book has been nominated in the Best Comics-Related Book category in the upcoming Eisner awards. How Comics Work is everything you need to know to get started creating great comic books. In Eisner Award–nominated How Comics Work, Dave Gibbons offers a class in creating comic books. Learn scriptwriting, page layouts, lettering, and more from the incredible artist behind Watchmen! This “How It's Done” series reveals insider hints, tips, and tricks from one of the world’s greatest comic creators, all in his own words. 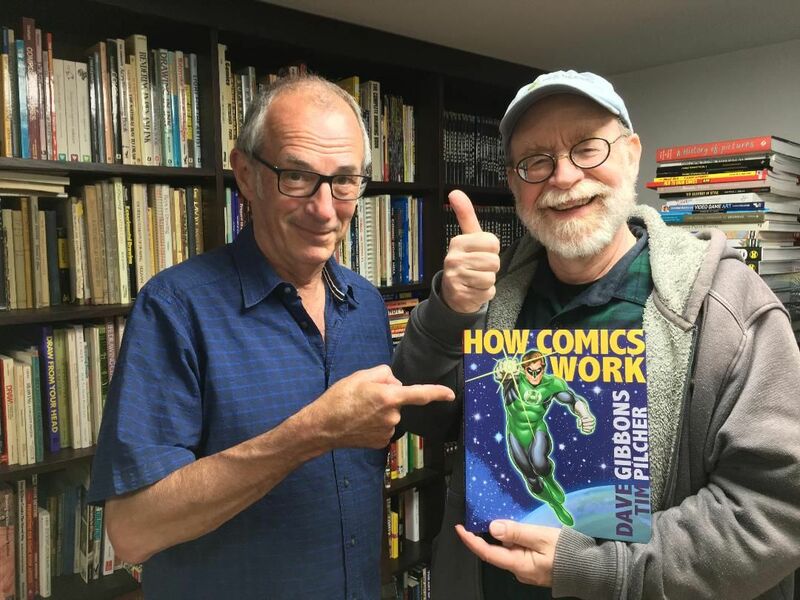 The artist behind juggernauts like Watchmen and The Green Lantern, Dave Gibbons is here to teach you scriptwriting, page layouts, lettering, cover designs, and more, with scans of original artwork and rarely seen workings to illustrate his personal creative processes. How Comics Work covers both Gibbons' hand-drawn and digital design techniques in depth. An early adopter of computer design in comic creation, all his lettering is digital, and he even has his own “hand-lettered” font. This is your chance to gain insight to Gibbons' digital work, from his computer coloring and 3-D modelling with Angus McKie on Give Me Liberty, to his work on The Originals using digital grey tones. You’ll learn how he layers text for editing, creates effects such as flares and neon glows, and prepares artwork for print and online.